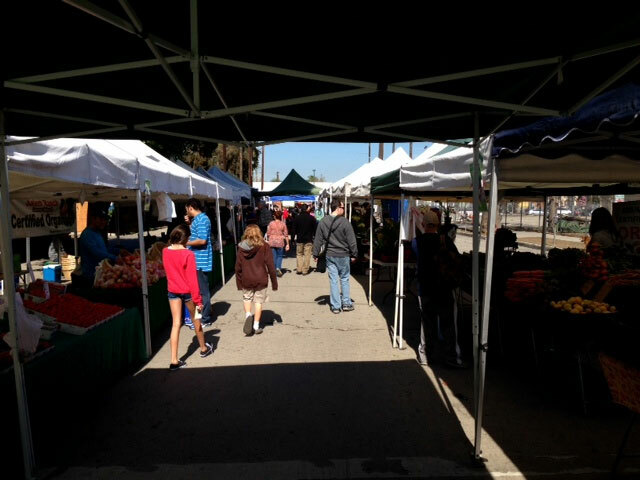 Every Saturday for years now there’s a little farmer’s market that happens in North Hollywood, about a mile up the street from me. I went for the first time today. It’s cute – small (only about a block long) and therefore manageable with some funky details. There was a sitar player at one end, a live band at the other, and a giant bouncy castle for no apparent reason. Lots of vegetables and fruit, plus nuts, organic juices, hummus, jewelry, clothing, art, and more. I bought a carton of the most gorgeous strawberries; an organic juice of strawberries, pineapple, and bananas; a sweet jalapeno salsa and a potato bolani (a vegan flatbread with stuffing), and a mini-chocolate cake. Very pleased. Arclight Cinemas is a local movie theater chain here in Los Angeles that does some fun special screenings and events including a series from the Modern School of Film where they will show a movie and have a famous person talk about it afterward. I had never been to one but I’ve heard they can be cool. Sometimes it’s someone who had something to do with the movie – for instance in a couple of weeks they are showing “Ed Wood” and will be having Martin Landau there to discuss it. Other times they ask someone to simply pick a film that they really like and then talk about it afterward. Tonight featured Alanis Morissette who picked “Bridesmaids,” which instantly made me love her even more than I already did. It was screened in the Cinerama Dome, an historic Hollywood theater dating back to 1963 (the first film shown was one of my all time favorites, “It’s a Mad, Mad, Mad, Mad World”). There’s something really cool about seeing a movie there – much more atmosphere than the cookie-cutter boxes you usually sit in. So first we (me and my friend Sam) watch “Bridesmaids” (which still makes me laugh out loud) and then we get to see the world premiere – literally the first time any audience has seen it – of Alanis Morissette’s new music video “Big Sur” (which she directed). It’s a lovely, very “Alanis” song and the video has got a nice California sunshine, surf, and sand vibe – almost hippy-ish in a way. Then Alanis comes out and she talks about movies and art and creativity and humanity and God and shame and feminism and within a few minutes you get the stunning realization that she is, officially, the smartest person in the entire world. Not only does she have a command of the English language that is unlike normal human beings, but the things she is expressing with her verbal intricacies are often so intelligent and so profound that I found myself struggling to process it all. She’s just that quick and sharp – it’s incredible. All in all, a terrific night. Of course this is the part where I have to share my Alanis Morissette story, which most of you have already heard but here it is again anyway. Back in the late 1990s I worked for Maverick Records, Madonna’s record label, which featured Alanis Morissette. It was a terrible, terrible place to work, filled with monstrous egos and a lot of horrible people in an industry that was trying desperately to hold on to a failing business model (it was just as music sharing on the Internet was taking over the world). A few months before Alanis’ second album, “Supposed Former Infatuation Junkie,” came out, she showed up at our offices, left behind all of her handlers, took off her shoes, and then walked around and introduced herself to everyone that worked there. And I mean everyone – from the mail room on up. She went up to everyone and said, “Hi, I’m Alanis, and I just wanted to thank you in advance for all the hard work you’re going to do for my record. What’s your name and what do you do?” It was the coolest thing I have ever seen a “celebrity” do and still is to this day. Of course then there are the Madonna stories, but I’ll save those for another time. 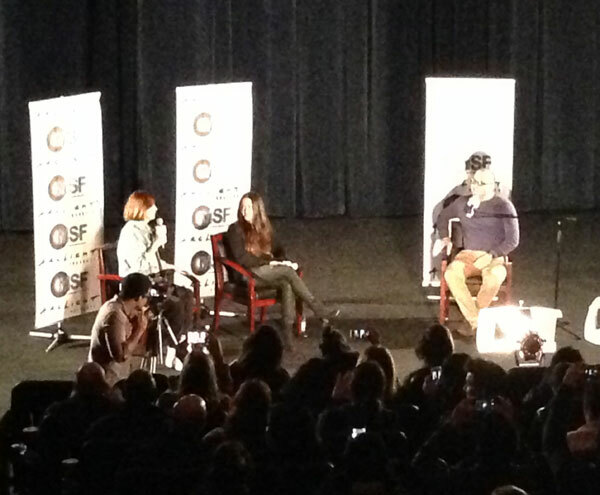 That’s Kristen Wiig, Alanis Morissette, and the moderator from the Modern School of Film. 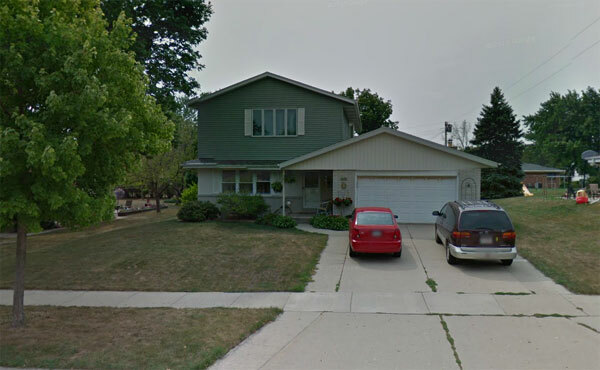 221 E. Sunset, Oak Creek, Wisconsin (a suburb of Milwaukee) from birth until about six months old (1966-1967). Apparently back then, this was a one-story house. 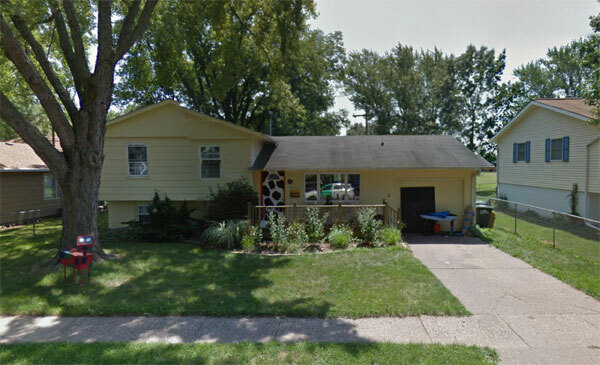 2205 Brookside Drive, Bettendorf, Iowa from ages six months to two years (1967-1968). No recollection of this place at all. 840 S. 15th Street, Marion, Iowa, ages two to three (1968-1969). Very vague, hazy memories of this but nothing specific – just that we lived here. 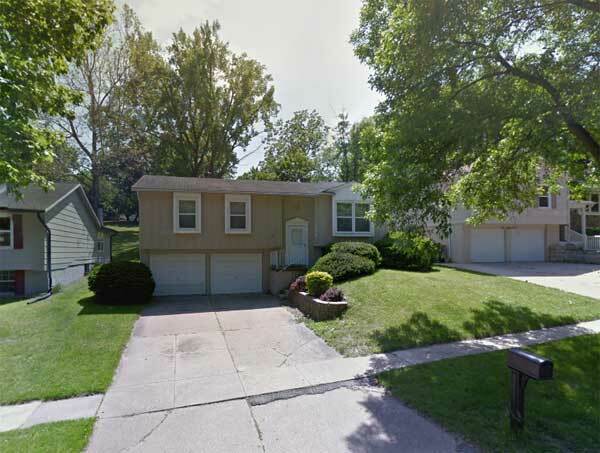 177 Chatham Road, Cedar Rapids, Iowa from three years of age until six-ish (1969-1973). I remember this place pretty well. This is where we lived when a big blizzard in 1973 pretty much buried the town. 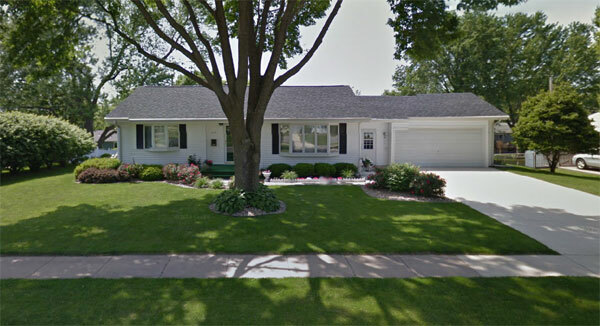 352 Crandall Drive, Cedar Rapids, Iowa from the time I was six years old until I graduated from high school and left for college at 17 (1973-1984). 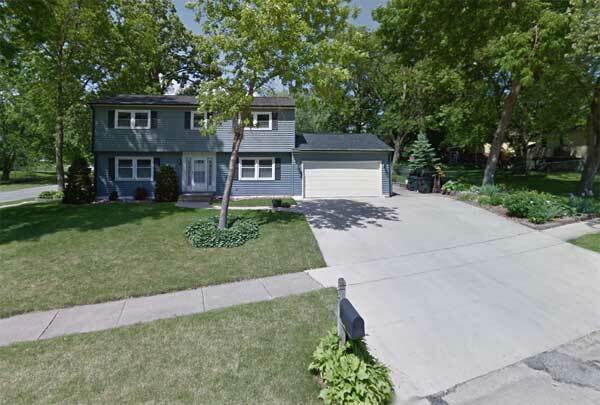 This is the house I most associate with my childhood, of course. It was white with black shutters when we first moved in and then it got painted sort of a tan/brown combination. 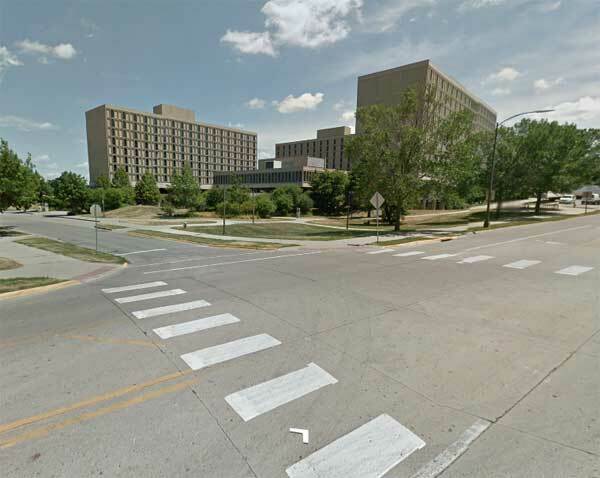 Maple-Willow-Larch dorms at Iowa State University, ages 17-18 (1984-1985). We were in Larch, which is the one in the center toward the back of this photo and our tiny little dorm room overlooked the commons building in the middle of the complex. It was a good hike from here to the main campus, which sucked during the dead of winter. 8525 Tobias St., Panorama City, California for six months, ages 18-19 (1985). 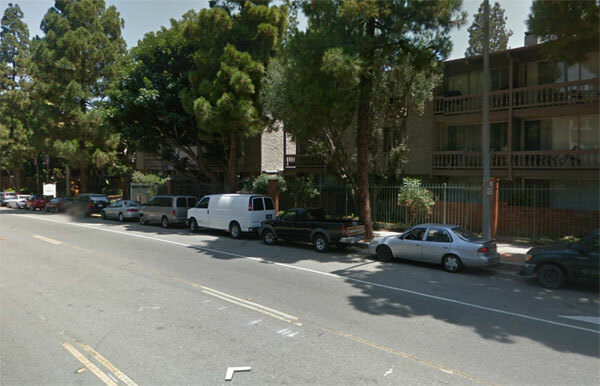 My first apartment when I moved to Cali – I had no idea until after I moved away what a terrible neighborhood it was in. I worked at the Montgomery Ward about a block away – best commute I ever had. 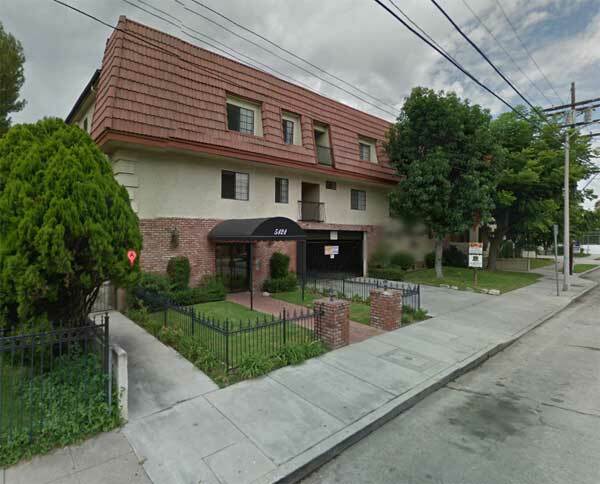 5121 Klump Street, (yes Klump) in North Hollywood, California from 19-21 years of age (1986-1987). I was roommates with a girl in my class at the acting school I was going to. For awhile she dated Gil Bellows, another student, who would go on later to co-star on Ally McBeal. He basically lived with us for a big chunk of the time. I have stories. 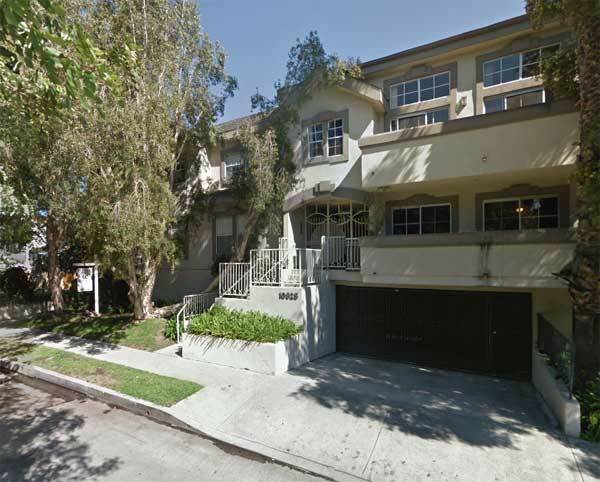 11265 Morrison Street, North Hollywood, California from 21-22 years of age (1987-1988). This is about a block away from the previous place, a small “junior” one-bedroom. 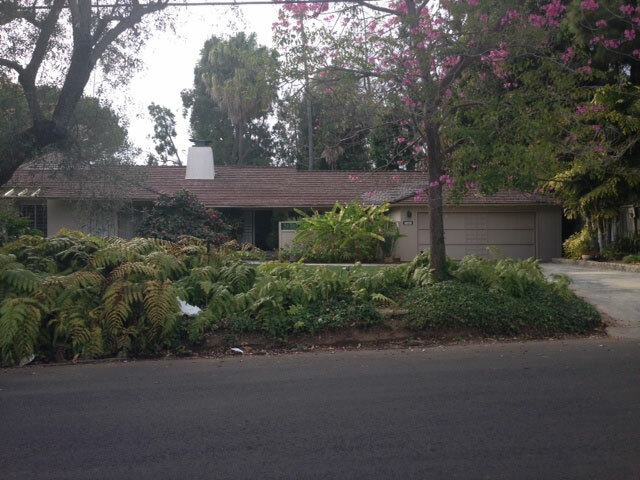 10975 Bluffside Drive, Studio City from 22-23 years of age (1988-1989). I started living with a guy that I had a major, non-reciprocated crush on and then later my friend Mark, who I have known since kindergarten, moved from Iowa. 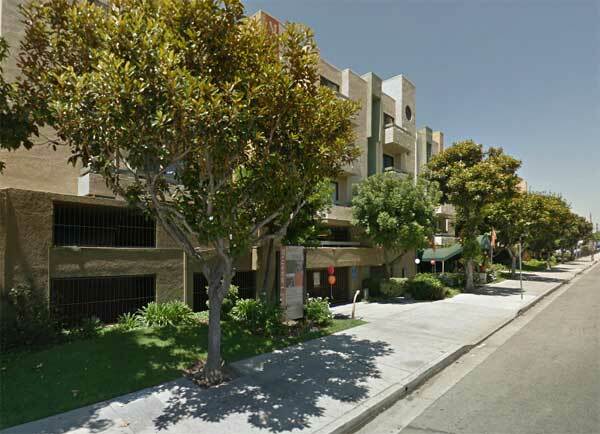 Green Valley Circle, Culver City, California when I was 24-25 (1990-1991). I don’t remember the exact street address. I was living with a different girl from the acting school that we went to. Neither one of us ever did any actual acting. 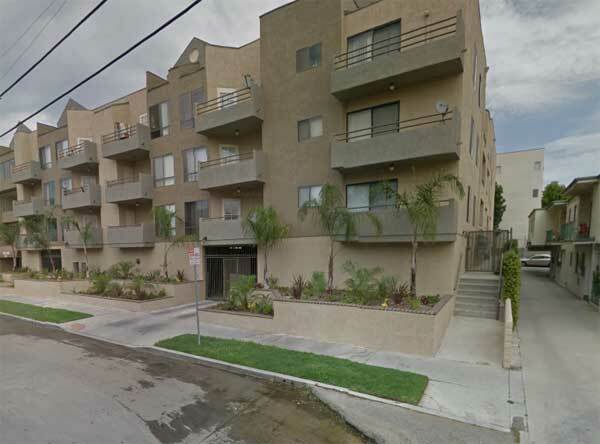 This building, in a predominantly African-American neighborhood, is where I was living when the Los Angeles riots broke out. The grocery store just down the street was looted and burned. 5047 Bakman again, between the ages of 25-28 (1991-1995). 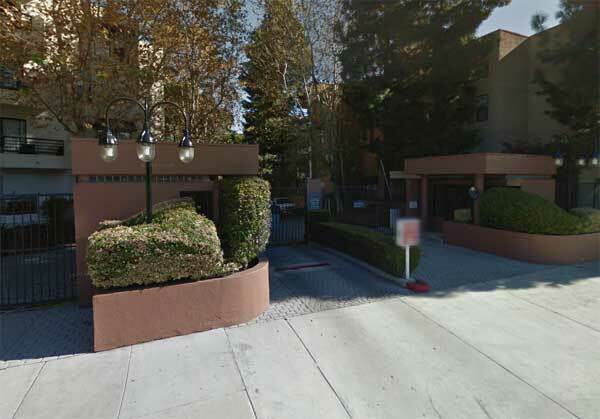 The first apartment was a one bedroom on the first floor and that’s where I was living when the 1994 Northridge quake hit. I wasn’t home at the time but the apartment was damaged and I moved up to a different apartment on the third floor for the rest of the time that I lived there. 10825 Blix Street, from 1995 until now, ages 28 through a very youthful looking (except for the bags under my eyes) 47. I lived in one apartment for 14 years and then moved to a different one, where I am now – my windows are the ones on the top floor balcony at the right edge of the picture. TYOLD Day 36: Why Are the Birds So Angry? My iPhone has always been more of an appliance than an amusement. I use it mostly to check email, read the news, find out what the weather is going to be like so I know what to wear, deposit checks, take pictures, and the like. I have about 100 apps installed and I think I use 10 of them with any regularity. Oh, and I frequently use it to avoid talking to people. Looking down at your phone is today’s equivalent of a Do Not Disturb sign. As far as games go, I have several installed but only a couple that I play occasionally, mainly when I’m in doctor’s waiting rooms. One is called Jumbline and its a Text Twist style thing where you get 6 letters and have to make as many words as you can using those letters. The other is video poker and I have to be annoyed by failing at Jumbline to play it. I’m not sure why but I think it has something to do with my deep love affair with both television and the Internet. I could be perfectly happy – and often have been – doing nothing but watching TV and surfing the web all day. And yes, I know you can do those things on your phone now, but it doesn’t feel right to me. Experiences on a mobile device feel “small” and I’m not just talking about the size of the screen. It’s like they are unimportant, transitory, and disposable. I flirt with my phone but I don’t love it and that’s probably why I have missed the boat on all of the big apps, including the biggest: Angry Birds. 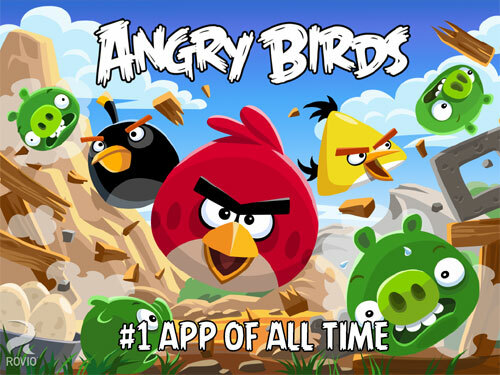 Did you know this is the biggest selling app of all time? More than 7 million downloads and counting of the original, with spin-offs, merchandise, cartoons, and more on the way. I had never played it… until tonight. I’ve heard it can become a bit of an obsession. I don’t know. I thought it was interesting; I have played games like it online before. But I mainly kept wondering why the birds were so angry and why they want to kill the weird green pigs. I think they’re pigs. Whatever. It perplexes me. Of course several weeks from now if I’m not returning phone calls or email and you find me sitting in a dark room trying to get level 52 done in one shot without using up my extra birds and therefore achieving a new high score… feel free to slap me. Today, February 4, is National Homemade Soup Day. I don’t know who decides such things but they did and so it was declared and so it shall be. My idea of making soup is opening a can, pouring into a bowl, and then microwaving that sucker until it’s hot. But this is The Year of Living Differently and so I, now, have officially made soup. And not only did I make soup, I made my own soup. I went online and looked up a couple of soup recipes but none of them were moving me. I wanted something easy and definitely in the comfort food category so I just sort of made it up as I went along. 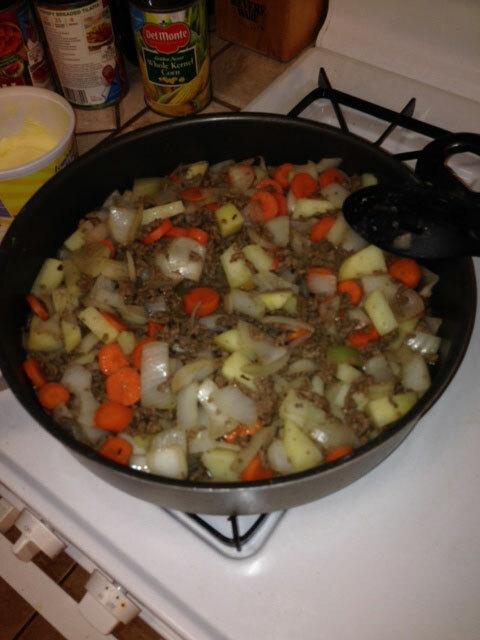 I stated with ground beef, which I sauteed in garlic, butter, and onions (which is how I start pretty much everything I cook). I added some spices and seasonings – salt, black pepper, basil leaves, oregano, more garlic, a tiny bit of paprika, and just a hint of red pepper. You will note that all of these were included because I had them in my cabinet. 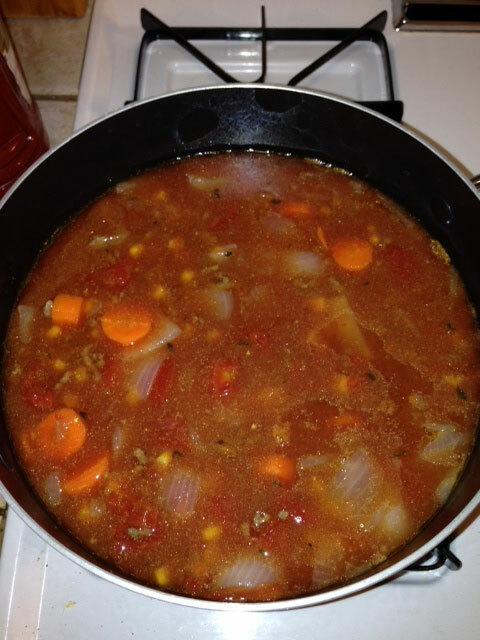 In a bigger pot, I put stewed tomatoes (canned, sorry) and a can of corn and then I added the beef mixture (after draining the fat). Then I added water, tomato juice, and more seasonings. Brought that sucker to a boil. covered it, and then let it simmer for about 30 minutes. This is not ground breaking soup and will not win me any awards, but it’s pretty darned good if I do say so myself. Of course now I have enough soup to feed a small army so if you’re hungry, ring me up. Happy National Homemade Soup Day, everybody! 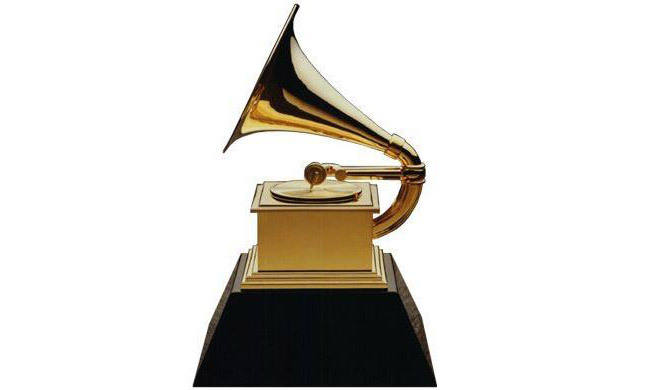 I didn’t watch the Grammy Awards last weekend – I don’t know that I ever have watched the entire thing all the way through. As with most awards shows I go into them with good intentions and then I get bored pretty early on and start multi-tasking and then stop paying attention entirely. I realized today that I didn’t even know what won Record of the Year. Turns out it was Get Lucky by Daft Punk and Pharrell. Good song. Don’t know if its a great song and Record of the Year-worthy. Were it up to me I probably would’ve gone with Locked out of Heaven by Bruno Mars, but I guess that’s why I’m not a Grammy voter. Then I wondered what other songs had won Record of the Year, so for my Differently today I went and created a playlist on Spotify of every single one of them from Get Lucky at the 56th Annual Grammy Awards to Volare at the 1st. I listened as background music while working this afternoon. Listening to 56 years worth of songs on random shuffle is like musical whiplash but there really isn’t a bum song in the bunch. Even ones that might make you roll your eyes at first glance like Don’t Worry Be Happy (1988) or Bette Davis Eyes (1981) are not terrible songs, especially when you put them in context of the time in which they won. There were a few songs that took me by surprise, not because they were on the list, but because I enjoyed hearing them so much. It’s probably mostly a time and distance thing – these were songs I haven’t heard in years – but still, it was a pleasure to listen to Higher Love by Steve Winwood (1986); Change the World by Eric Clapton (1996); I Will Always Love You by Whitney Houston (1993) (I had avoided that song at all costs for a long time); This Masquerade by George Benson (1976); All I Wanna Do by Sheryl Crow (1994); and Not Ready to Make Nice by the Dixie Chicks (2006). Favorites (that I knew would be favorites)… The First Time Ever I Saw Your Face by Roberta Flack (1972); What’s Love Got to Do With It by Tina Turner (1984); Just the Way You Are by Billy Joel (1978); Love Will Keep Us Together by Captain & Tennille (I’m not ashamed!) (1975); It’s Too Late by Carole King (1971); Rehab by Amy Winehouse (2007); and Rollin’ in the Deep by Adele (2011); and Beat It by Michael Jackson (1983). Songs I could do without… Hotel California by The Eagles (1977); Up, Up and Away by the Fifth Dimension (1967); Aquarius/Let the Sunshine In by The Fifth Dimension (1969); Somebody That I Used to Know by Gotye (2012); the doo-be-doo-be-doo part of Strangers in Night by Frank Sinatra (1966); Another Day in Paradise by Phil Collins (1990); an Days of Wine & Roses by Henry Mancini (1963). Randomness… A girl in high school (I think I was in Junior High at the time) sang I Honestly Love You by Olivia Newton John (1974) at a choir concert and I fell completely, totally in love with her at that moment. It was my first real crush on a girl. Take My Breath Away by Berlin was what was playing when I developed by first real crush on a boy but that’s a story for another time. For a moment, I thought that I might make my Differently today be to watch the Super Bowl. I never have seen one all the way through – or at least I don’t remember ever doing so. Usually I turn it on when I think they are close to the half-time show and then turn it back off again as soon as its over. So I thought sure… that could be different. Then I remembered how much I hate sports in general and especially basketball. Instead, I decided to do the most anti-Super Bowl thing I could think of and since there were no matinees of Broadway musicals I could get last minute tickets to, I went to go take pictures of the house from The Golden Girls. And now, just to prove that I am not a total football philistine, here is an episode of The Golden Girls in which Dorothy is pressured to give a high school player a passing grade so he can play in the big game. I have three great Differentlies today – one involving a fantastic new restaurant, another involving a famous person, and the third involving what I did to my face. Hmmm, which to start with…. If you live in Los Angeles you must drop whatever you are doing and run, do not walk, to Warren’s Blackboard, a new “pop-up” restaurant concept at the Beverly Garland Hotel on Vineland in North Hollywood. I know…. 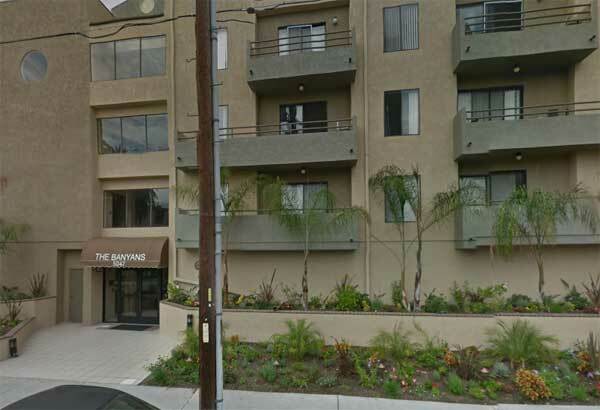 a North Hollywood hotel restaurant… how good could it be? Unbelievably good. It’s headed by Warren Schwartz, who has a resume that includes sous chef at Patina under Joachim Spichal and executive chef at Saddle Peak Lodge, Westside Tavern, and the Viceroy Hotel. Here, he’s playing; experimenting with different dishes as a “workshop” for the full restaurant that he will be opening in the space in May. All the ingredients are locally sourced and sustainable, so you get crazy fresh. Anyway, it’s basically fried rice with broccoli and Spam – genius and stupid good. Maureen had the salmon with baby sweet potatoes and tangerine and I had the pork chop, with apple slaw and creamy polenta. I have whined often and vociferously about my food issues but this was so good I ate more of this than I have of just about anything since they chopped out a big chunk of my stomach. Seriously, y’all, go check this place out. Backing up a bit, we arrived at the valet and I glanced up at the couple waiting for their car and noticed that the guy was Eric Stonestreet, the Emmy-Award winning actor who plays Cam on “Modern Family.” I rarely bother famous people when I see them – to be honest, I rarely recognize them – and in this instance didn’t intend to but then the woman with him called out, “Rick? !” It was the lovely and talented Erin, who I used to work with at Disney. She apparently had just seen this very blog on her Facebook feed recently and Eric knows someone who knows Maureen and so it’s this weird tiny little world and I met Eric Stonestreet and he told us to try the White Boy Fried Rice and we did and it was really good. Backing up even more we get to the face pleasing, which was my originally intended Differently for the day. This came about because I’m getting old. For the most part I’m accepting of that – the loss of hair on my head, the gain of hair in my ears, and the fact that most of it is gray or snow white. I’m okay with the wrinkles, too – I’ve decided they make me look distinguished. What I’m not okay with is the puffy, saggy, grossness that is under my eyes. It’s sort of a loose skin kind of thing that, to my extremely judgmental eyes, makes me look about 10 years older than I actually am. Some of it comes from age, some of it is hereditary (my mother has a similar thing going on, but she’s almost 80), and some of it has to do with all that weight I lost during the cancer hooha. I’m actually looking into Botox or similar but for now I decided to make myself at least feel better by doing something I had never done… getting a facial. 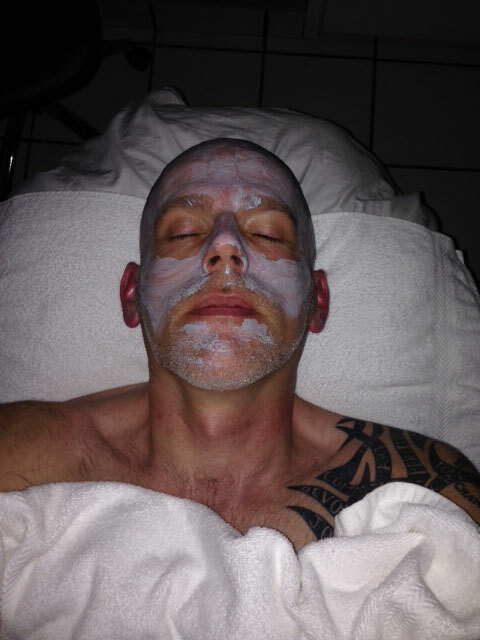 I know, I know… how is it possible that I have never had a facial? Well, it’s true. Until today. My delightful friend Fred (he makes me say that) manages Monique’s Salon and Spa in Tarzana and so I went there to get my face pleased. My facilist (tm Rick Garman) Lori did a great job (she was very patient with me and my “what are you doing to my face?” type of questions) and and the facility is lovely (if I had hair, this is where I’d get it done). So my overall reaction to the facial has nothing to do with them it has to do with the fact that I’m an OCD, crazy person who can’t ever relax and doesn’t have the patience god gave a rhinoceros. I don’t like people touching my face, which probably should’ve been something I considered before I went to get a facial. It seemed like a good idea at the moment. And I know I’m supposed to relax and enjoy it but I’m way too much of a control freak and have a brain that resists shutting off at all costs, so I pretty much laid there and stressed out the entire time thinking about all the other stuff I needed to get done. And I did it while listening to that f-ing spa music – which again, if you’re going to spa you should expect – but it makes me want to hurt someone. And of course I still have ugly bags under my eyes. I think it is completely reasonable that I expected to walk out of their looking 20 years younger, don’t you? Oh, just humor me. Like I said, I’m an idiot, but that’s the thing about Living Differently… sometimes it works out and you might find a fantastic new restaurant, sometimes it is random and you might meet a famous person, and sometimes people touch your face. No, this is not my autopsy photo. I’m getting a facial, damn it!